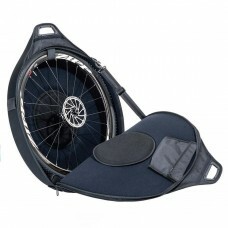 CAMPAGNOLO WHEEL SPARES WB-200 WHEEL BAGIntroducing the Campagnolo Wheel Bag; that is perfect for tr..
EVOC MTB WHEEL COVER - ONE PAIRThe MTB WHEEL COVER protects the bike rims during transport and the s..
VITTORIA NYLON WHEELBAG 28X5 WITH VITTORIA DESIGN COLOURED (FOR 1 WHEEL)A sturdy Vittoria Nylon whee..
VITTORIA NYLON WHEELBAG 28X8 PADDED WITH REINFORCED AXLE PADS SHOULDER STRAP, FOR 2 WHEELS WITH TYRE..
ZIPP CONNECT WHEEL BAG - SINGLE (ATTACHED VELCRO STRAPS ALLOWS FOR TWO BAGS TO BE CONNECTED TOGETHER..
ZIPP SINGLE WHEEL BAG (INCLUDES PADDED WRAPAROUND HANDLE INNER SKEWER POCKET AND PADDED OUTER LAYER ..
ZIPP WHEEL BAG DUAL (2)Protect your wheels! 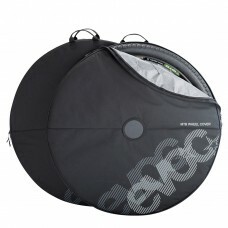 Each wheel slips into an individually padded pocket. 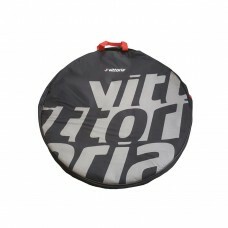 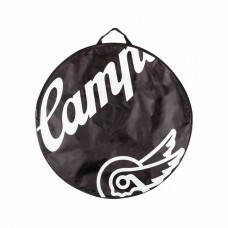 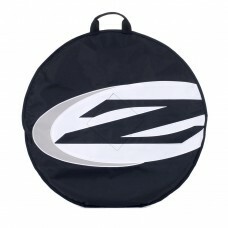 The..
ZIPP WHEEL BAG SINGLE (1)Between rim depth options, training and race specific hoops, and multiple C..